Brentwood Home Oceano Mattress Review l Could this be the Best? The Brentwood Home company specializes in luxurious, healthy, and reliable home accessories that can be purchased easily and safely online and they dedicate themselves to using only the most high quality materials in all of their products, including their mattresses. The Oceano Mattress is one of their top-tier products and is very popular. This mattress utilizes a revolutionary design that incorporates two coils systems as well as a top layer comprised of gel infused memory foam. And like with all Brentwood Home mattresses, the Oceano Mattress is designed to be functional and also aesthetically pleasing in its design. Furthermore, all Brentwood Home mattresses are hand-crafted by local artisans and fabricators in the area of Los Angeles, just as they have been for over thirty years. Additionally, all materials used in their products are carefully researched and sourced to make sure they meet all relevant health, safety, and environmental standards. The Oceano is no acceptation. Coming in as one of the heaviest & thickest mattresses we have reviewed this mattress does not disappoint. It is above average in all aspects of its design & feel all while being competitively priced at $1271 with our coupon. The build of this mattress is impressive at 14-15″ thick it is sure to impress. Its surprising some of these mattress are able to roll pack still. The Oceano has a nice feel. I think its a good medium, maybe a hair firmer than some mediums but is a good fit for most combination sleepers. We’ve been handcrafting mattresses in California for over 30 years, so it’s no surprise we have a fondness for traditional materials like high quality springs and wool tufts. But, with sleep technology developing so quickly, we’re always seeking new ways to improve upon the tried and true. Our Oceano Mattress is a hybrid bed that combines the responsive comfort and long lasting support of traditional spring craftsmanship with the pressure relieving properties of modern gel memory foam. In our decades of experience, it’s clear that hybrid mattresses are the ultimate choice for years of incredible sleep. If you’re looking for the best hybrid mattress on the market, consider the Oceano. Read the full unbiased review of the Oceano below. Want a thicker mattress – This deluxe mattress is thicker than most other brands, at about fourteen to fifteen inches thick overall. 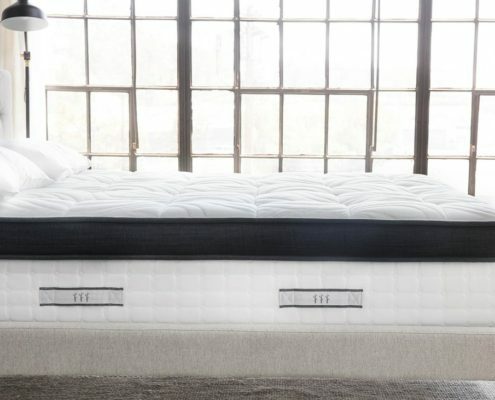 And while this mattress also provides excellent levels of comfort, it’s also known for being incredibly firm and supportive thank to the coil units and that extra thickness, making it a great choice if you want a mattress that can help support the weight of your body while also easing tension and pain in problem areas like your lower back, hips, and other joints. 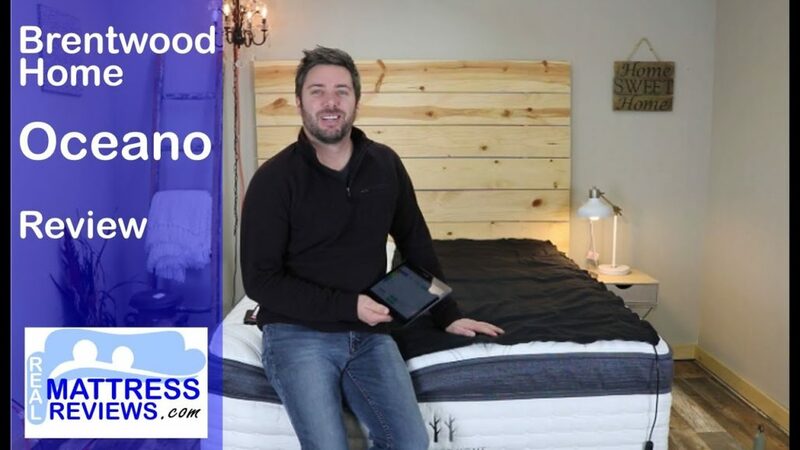 Seeking a more luxurious mattress without breaking the bank – The Oceano is a much more substantial mattress than so many of the 10″ online mattresses and for not that much more money. Spend the extra money and get a real luxury mattress. Some companies say things like “in store this would cost $3000″, well that’s actually true with the Oceano. Many of the online mattress options are thin. With a bunch being 10” thick and still $800-1200. When you compare the thickness and components that go into the Oceano you really are getting a lot of mattress for the money. The Oceano also takes it a step further and is hand tufted. This is a feature on higher end mattresses and it helps with longevity and keeping any materials from shifting or bunching. Are after the hybrid or more traditional mattress feel – The design of this mattress has a true hybrid or traditional feel utilizing two different pocketed coil units and a nice quilt on top. 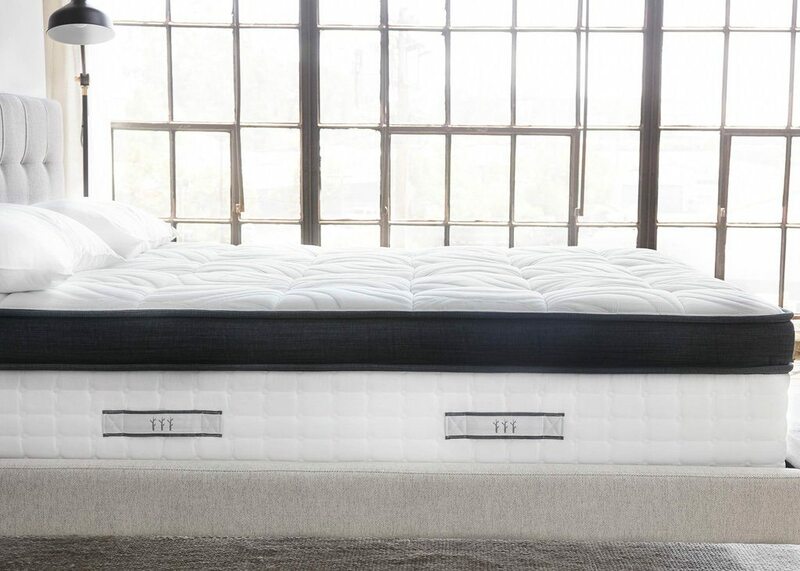 With the foam layers and the coil units inside of the Oceano you will experience much more of a traditional feel compared to a all foam mattress. While you still have some body conformance and good pressure relief its not overwhelming to where you feel “stuck” in the mattress. The coil units provide a little added bounce making it easy to move around on and also allow air flow so generally hybrids sleep cooler than foam mattresses too. Want a good combo of bounce and pressure relief – The pairing of memory foam and the pocketed coils gives you good pressure relief with the memory foam but added bounce with the coils. It’s a really good balance of firm and soft. It has a good balance of conformance and a “sleeping on the mattress”. You get conformance and pressure relief but very good support at the same time. Want a mattress that sleep cool – Stating with the Tencel, Wool and Gel Memory foam on top. All 3 are breathable and designed to sleep cooler. Next having 2 coil unis allows much better airflow than if this used a foam core. Additionally you do not sink super far into the oceano so more of you body ends up being exposed to the air vs something that has a ton of sinkage. This helps your body stay cooler vs sleeping in a pit. Want to pay a fair price for a high end mattress – Some brands are more marketing companies than they are mattress companies. That’s is not the case here. Brentwood Home makes quality mattresses with fair pricing. You won’t pay more for their marketing and get less mattress. When compared to high end store brands that use similar components and are hand tufted, the Oceano’s price is much more attractive without sacrificing any quality. Want an all foam feel – The Oceano being a hybrid will have more of a traditional feel than an all foam mattress will. It will have more bounce. So if you know you love all foam this will not probably change your mind. A hybrid mattress like the Oceano will be more substantial than most foam mattresses. The biggest difference in feel will be that the hybrid will have more bounce. Some people want the absolute best motion isolation which you would get on a foam mattress, but you will sacrifice bounce for that. Its really just a personal preference. Do not want a thick mattress – Although you will not have to worry about sheets fitting this if you like a thinner mattress you’ll have to look somewhere else as this is about 15″ thick. Some people run into issues with thick mattresses if they have a platform bed or headboard that is very low. A thick mattress sometimes can dwarf a short headboard. BUT, if this is the case you may be better off investing in a new headboard and getting a quality mattress vs buying a thin, probably not as nice mattress to accommodate a headboard. Like more of a latex feel – Since the Oceano uses a micro coil unit under the memory foam you do have a good amount of bounce although it uses memory foam. But its not the same as latex, on top. 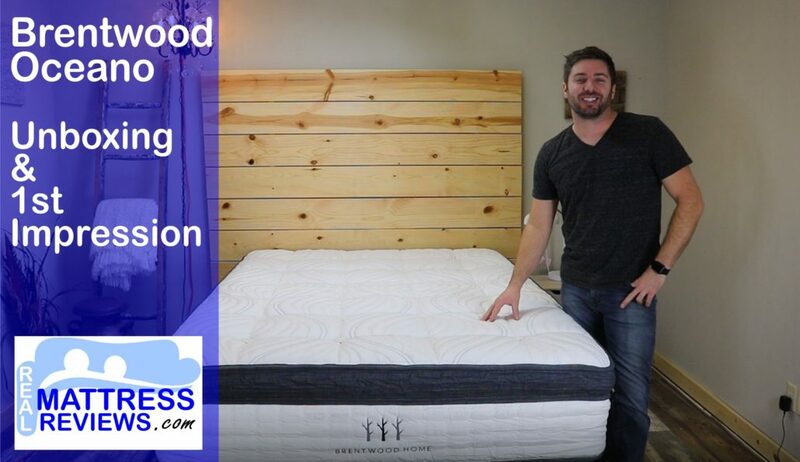 So if you know you like latex better you will maybe want to consider the Brentwood Cedar which uses latex and provides even more bounce and more of a sleeping on top of the mattress feel. Want a pure memory foam mattress. The Oceano mattress is a hybrid mattress that incorporates traditional mattress design in the form of its coils, which form a main portion of the mattress underneath the memory foam layer. 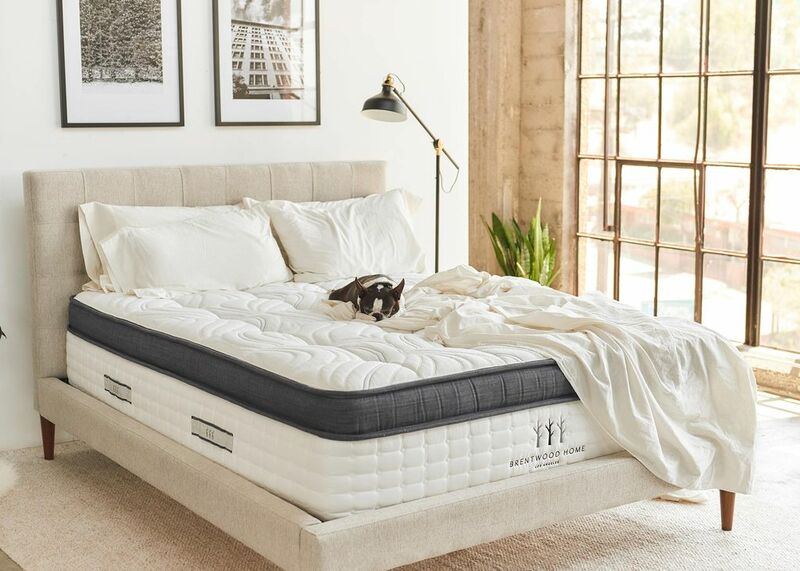 In general, the Oceano feels more like a traditional mattress than a memory foam mattress when you’re using it, so if you want a mattress that feels entirely like soft and squishy memory foam, this is probably not the right mattress for you. Beautifully crafted. Outstandingly comfortable from the get go. Very pleased that I decided to purchase Oceana over other brands offered on line. Our Oceano mattress is awsome. Somehow it’s a combination of firm, soft, and plush. Did have a problem with Fedx but Brentwoodds great customer service took care of it and made it right. My husband and I absolutely love this mattress! We are sleeping so well and look forward to laying down every night. My husband has had back pain for years and since we bought the oceana he has been pain free the majority of the time. We highly recommend! Turns out I love this mattress. I was on the fence at first, and delayed submitting my review. I had read some previously where customers didn’t LOVE it at first, but then gave it some time to “break in” and were very happy. The same was true for me. The Oceano Mattress typically ships and is delivered within three to ten days of your order being processed. It is shipped in a compressed form and will arrive in a box. Like with most memory foam mattresses, you will need to unpack it carefully (try very hard to not cut your mattress when unpacking it, because this can cause long-lasting harm to the memory foam) and allow time for the mattress to expand back to its full size and shape before using it. There may also be a slightly strange smell accompanying your mattress when you first unpack it. While sometimes uncomfortable, this smell is not harmful and is simply a byproduct of the compression and shipping process. If you are sensitive to the smell, we suggest letting the mattress air out for a day or two before using it. Also, we do recommend getting another person to help you with unpacking and setting up your en Oceano Mattress. Because this mattress is notably thicker and heavier than other types of mattresses, it can be hard to lift and maneuver; therefore, getting someone to lend a hand can be very helpful and save you a lot of time. The first thing you will do when you get your Oceano mattress is bring it to the room you will open it in. You do not want to unroll it in another room. Once you are ready to open it you can use the cutter some brands provide, if not use a scissors and be careful not to cut the fabric. As it starts opening it will expand quickly and you will only notice a slight “new mattress smell”. The Oceano mattress is made in the USA so it is not roll packed very long, which helps with minimize off gassing. Tencel Stretch Knit Cover. Tencel is an eco-friendly plant-based type of fiber that is used to create cloth that is both very soft and very breathable. 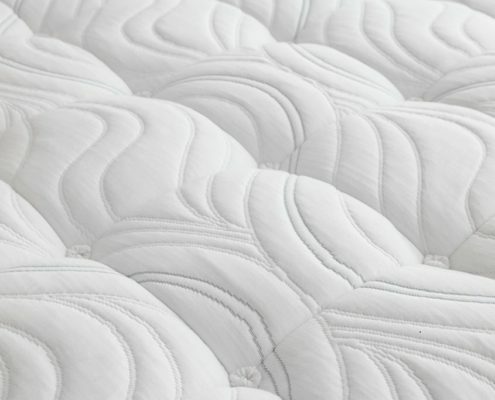 This special quilted cover is what helps keep the mattress cool and ventilated; the top mattress also utilizes some New Zealand wool, which is known for its ability to wick away moisture and increase ventilation and air circulation. Additionally, New Zealand wool is a sustainable material and used in all of Brentwood Home’s handcrafted mattresses. Gel Memory Foam. This portion of the mattress is about two inches thick and is critical to the pressure-relieving aspects of the mattress. The memory foam contours to your individual body shape and can help to relieve pressure, tension, and pain in your body, particularly problem areas like your back, hips, and other joints. This memory foam also helps with motion isolation, so if you move around at night that movement won’t disturb your sleeping partner. Individually wrapped micro-coils. 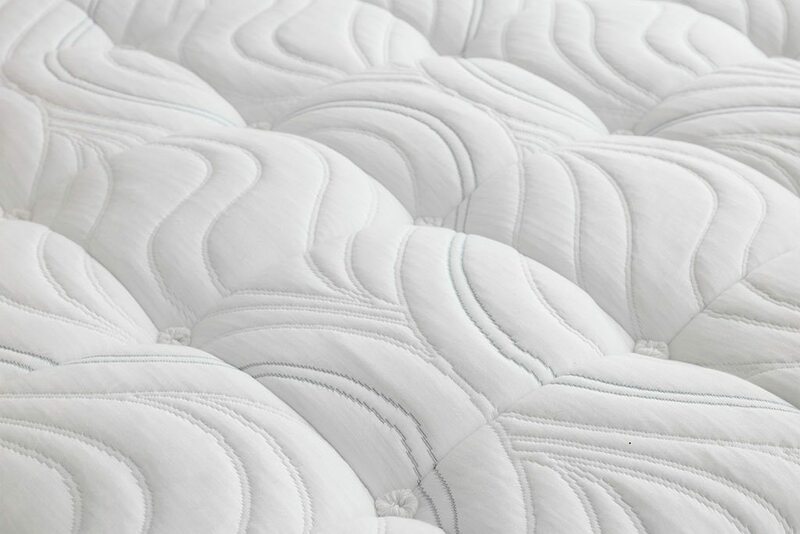 This specially designed layer is approximate two and a half inches thick and contains the coils that help to give this mattress its firmness and support, as well as its traditional mattress feeling (this is also helped by the main layer of larger coils, which we will mention shortly). These micro-coils are individually wrapped, and will respond and adjust to your movements while you sleep, providing you with firm support regardless of what position you’re in. Airlux Foam. This layer is made of CertiPUR-US certified foam that is guaranteed to be non-toxic. This foam is designed to help increase air flow within the mattress and aid in ventilation, helping to keep the mattress (and you) cool at night. Individually wrapped base coils. This layer is eight inches thick and (in addition to the thinner micro-coil layer) is what gives this mattress its strong support and firmness, as well as that traditional mattress feel. The Quantum Edge Combi-Zone base coils that make up this layer are strategically positioned to provide support to the hips, back, and shoulders. The strong coils also help provide the mattress with solid edge support that keep the mattress from breaking down and losing its shape. See the benefits of hand tufting below. Tencel Stretch Knit Cover – Very breathable. Durable side panels WITH handles! The Oceano will work on any solid surface. A wood foundation, boxspring, slats, the floor and will work on an adjustable base. Essentially you just want to make sure whatever youre using the mattress on is flat. An old boxspring a lot of times is still good but make sure its not bowed in the middle. This will work on an adjustable base to a point but don’t expect to be sitting straight up and down. Most people want to elevate the head some for reading or watching tv. It will work well enough for that. The Oceano offers a unique combination of comfort and firmness. 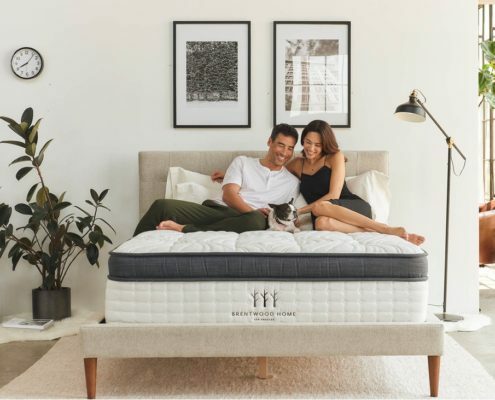 The memory foam of the top layer allows the mattress to contour to your body’s individual dimensions and help alleviate pain and tension that you might be carrying in problem areas like your back, hips, and joints. 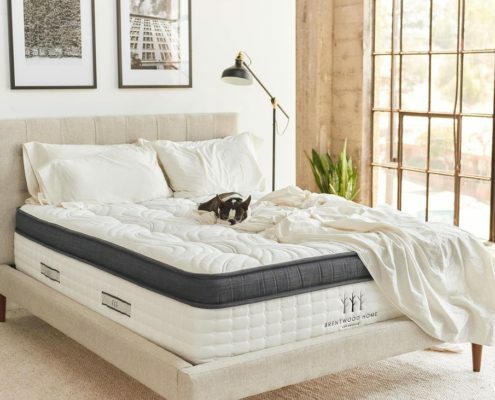 That being said, the overall feel of this mattress most closely resembles that of a traditional spring mattress, tanks mostly to the hybrid design that does in fact incorporate spring coils that provide support and firmness. Additionally, this mattress is a good choice is you want the softness of memory foam but not the struggle to change position that can comes with some memory foam mattresses that sink in around you once you lie down. Instead, this mattress is comfortable without being suffocating, and you’ll be able to change position and get up and down with ease. Also, this mattress is made of very high-quality materials and handcrafted with both style and functionality in mind, making it a very high-end mattress overall. The Oceano is so far one of the most awe inspiring mattress we have reviewed. Its sheer thickness and quality invokes luxury & for not much more than most of the competition. The Oceano Mattress impressed me for the following reasons. A.) To me the overall build and quality was above average. How much mattress is there is amazing and the fact that fits in a box is crazy! A lot goes in the Oceano. It uses several comfort layers and two coil units. The base coil unit is the very durable quantum edge to edge coil system. The top micro coil unit adds really good deep support, bounce and durability. That coil unit also allows air to flow much better than f it were a foam layer. B.) The top comfort layers really didn’t get hot and it had a great feel that should work for the majority of people in terms of firmness level. The overall comfort and firmness level of the Oceano were great. It has a very luxury feel. You get a good amount of pressure relief and body conformance but not an overwhelming amount of body hug so its still very easy to move and adjust positions on. C.) It worked well in all sleeping positions. For the most part the Oceano should work well for most people in most sleeping positions. For my weight at 200lbs it was great in all positions. A light side sleeper could potentially like something a bit softer but for most it should work well. D.) It has been my favorite gel memory foam mattress thus far. This is going into the top picks list for sure. When it comes to online mattresses, Brentwood home has some of the best. They are mattress makers where some companies seem to be better at marketing than they are building mattresses. E.) The handles make it easy to spin and move around. I recommend giving you mattress a spin every so often so you are not laying in the same spot all the time. This will help wear the mattress more evenly. Since it’s not 2-sided you can just spin it. But it does help. F.) 25 year warranty & 120 Night trial give you some peace of mind. Brentwood Home backs up theor mattresses with an impressive 25 years. The industry standard is 10-15 and only longer on high end mattresses generally. The Oceano as Ross said is extremely impressive. I was not there to unbox this but when I saw it for the first time I was shocked at how nice and thick it was. The Oceano is a real mattress! I was impressed initially by aesthetics very much, its very nice looking and the fabric feel luxurious and durable. I generally like a soft mattress so I sink in a bit more but the Oceano still felt great for my weight 125lbs even though its not super soft. On my side it still had enough give to allow my hip and shoulder to contour in without much pressure pushing back up on my body. The mattress had a high end look and feel. You will notice how the quality and craftsmanship is very high end on the Oceano. Especially if you have seen some of the other brands in person as well. Comparing this to any of the 10″ foam brands and you will see the quality difference. This rivals the high end mattresses in Ross’ store. Being that I help Ross move these around all the time the handles were a huge help for me. I would recommend anyone wanting to try a hybrid mattress. It was definitely one of the nicest bed in a boxes we have experienced so far. As mentioned previously, this mattress is an excellent choice if you want a mattress that will keep cool while you sleep and not retain heat. Thanks to the specially designed coils within the mattress that help to increase airflow and the quilted cover on the top that covers the gel infused memory foam, this mattress will always stay well-ventilated and cool. They advertise that this works on an adjustable base. I believe it will too but if you plan to sit straight up and down it might be tough but for those who want to subtlety incline for tv and acid reflux etc it will work great. As mentioned earlier, this mattress is very reasonably priced when compared to competing brands. 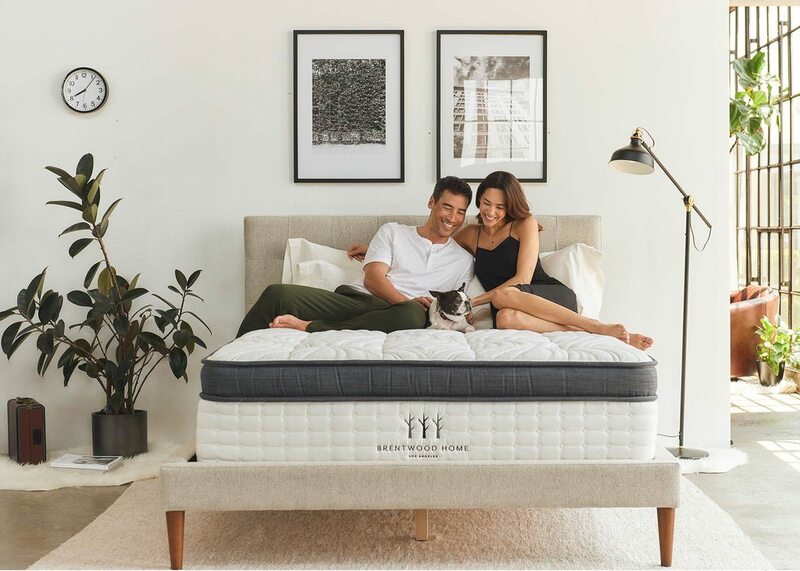 Not only does it provide a great sleeping experience that combines comfort and support, it is also handcrafted by local Los Angeles artisans who specialize in the creation of mattresses and it is made entirely from high-quality materials that are thoroughly researched for both safety and sustainability. Given all of these factors, this mattress is a great value for the price. You can test out this mattress for free for one hundred and twenty days to see if it’s a good fit for you and your own sleep needs. Also, this mattress comes with a twenty-five year warranty that will help you if you discover any defects in the product or have any serious problems with it. Discounts – Use our link Save 15% OFF with our link below & code MattressInsiders15. Overall, this mattress is an excellent choice if you want an incredibly reliable mattress made from high-quality materials that is specially designed to provide a unique combination of relaxing comfort and firm support. It’s also a very good choice if you want a handcrafted top of the line mattress at a reasonable and affordable price. The Oceano is so far the most awe inspiring mattress we have reviewed. Its sheer thickness and quality invokes luxury & for not much more than most of the competition. I feel like anyone looking for a hybrid and is ok spending over $1000 must consider the Oceano! A.) To me the overall build and quality was above average. How much mattress is there is amazing and the fact that fits in a box is crazy! B.) The top comfort layers really didn’t get hot and it had a great feel that should work for the majority of people in terms of firmness level. D.) It has been my favorite gel memory foam mattress thus far. This is going into the top picks list for sure. F.) 25 year warranty & 120 Night trial give you some peace of mind.